Digital Live is a 6 month training program for real estate thought leaders wanting a world class digital profile. 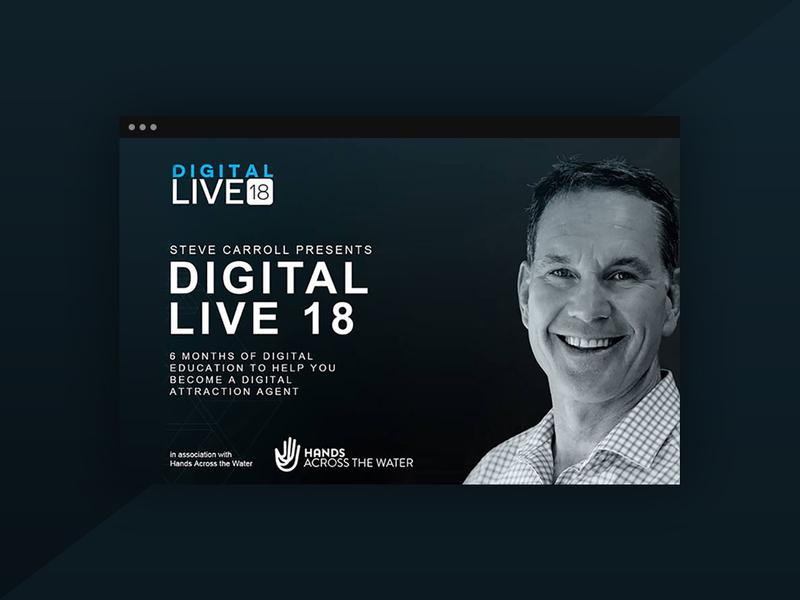 Digital Live is for Agents, Principals, Property and Marketing Managers who are eager to learn how to use technology, social media, and digital marketing strategies to enhance their online presence and future-proof their business. With use of exclusive Digital Live Scorecards, participants receive a personalised appraisal of their online profile when they start the program, and again at the end. Valentina is part of the expert judging panel where she reviews agents’ digital footprints across realestate.com.au online agent profile, agency profiles, and social media profiles then provides tailored feedback and recommendations to help them excel. Digital Live arms participants with the tools and strategies needed to amplify their brand and establish themselves as an influencer in the industry. Our CEO, Valentina, volunteers her time as a Digital Live keynote speaker, as profits from this annual event go directly to the charity group Hands Across The Water, a social enterprise dedicated to enriching the lives of disadvantaged children and communities in Thailand through creating meaningful shared experiences.